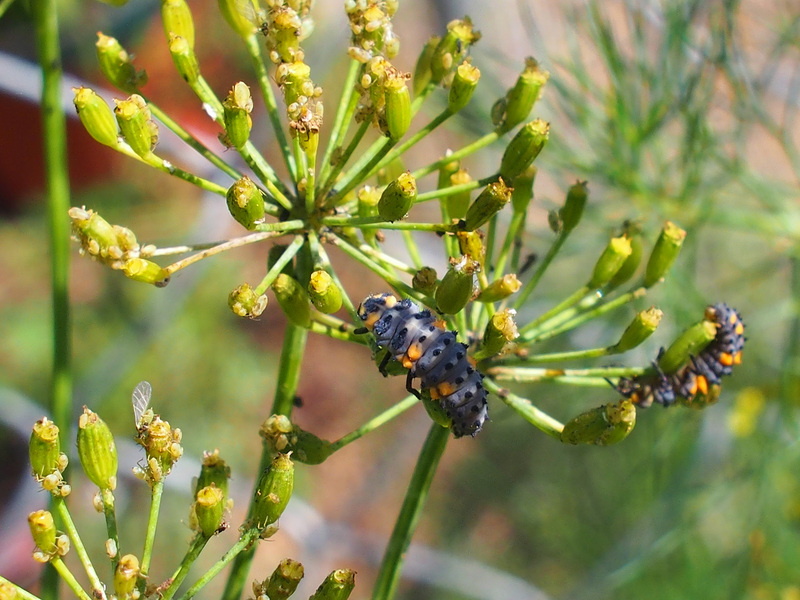 I recently shared a post about the ladybugs that have graced my garden this year. 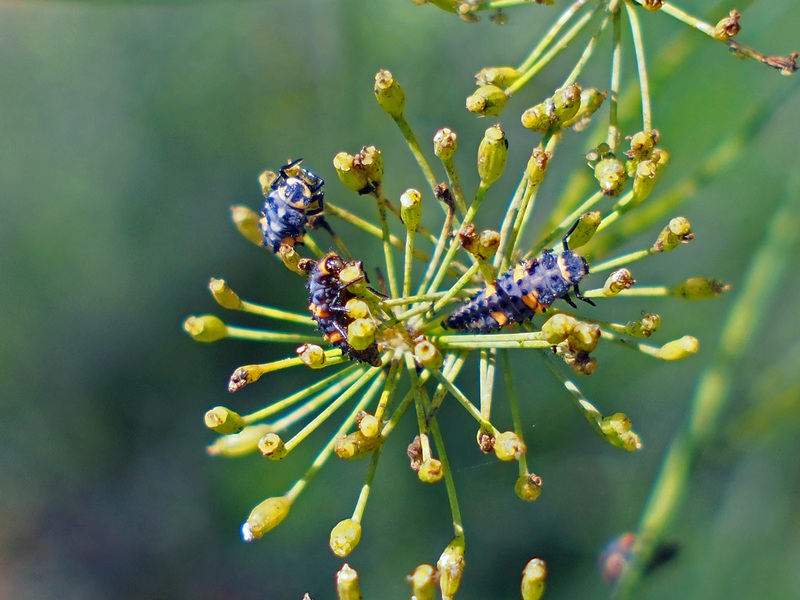 Ladybug, Lady beetle or ladybird beetles. Whatever the name, they are welcome in my garden. They have continued to thrive and their larvae are appearing in encouraging numbers. 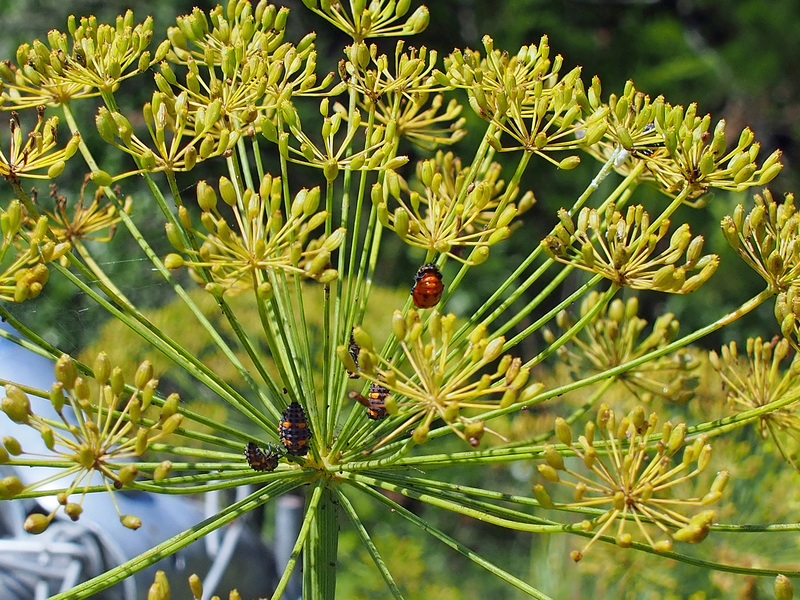 They are welcome to feast on all the aphids and dill plants they desire. 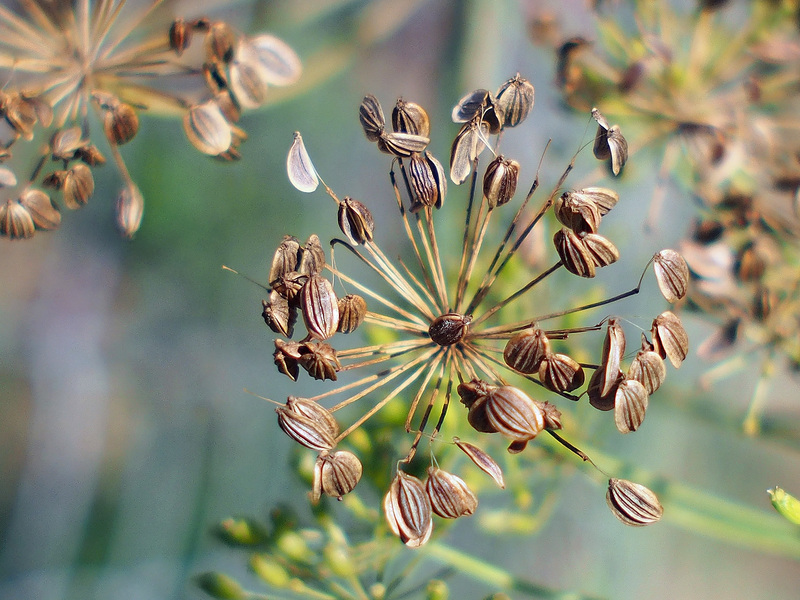 The dill has started going to seed and it looks like we will have plenty to re-seed for next spring. 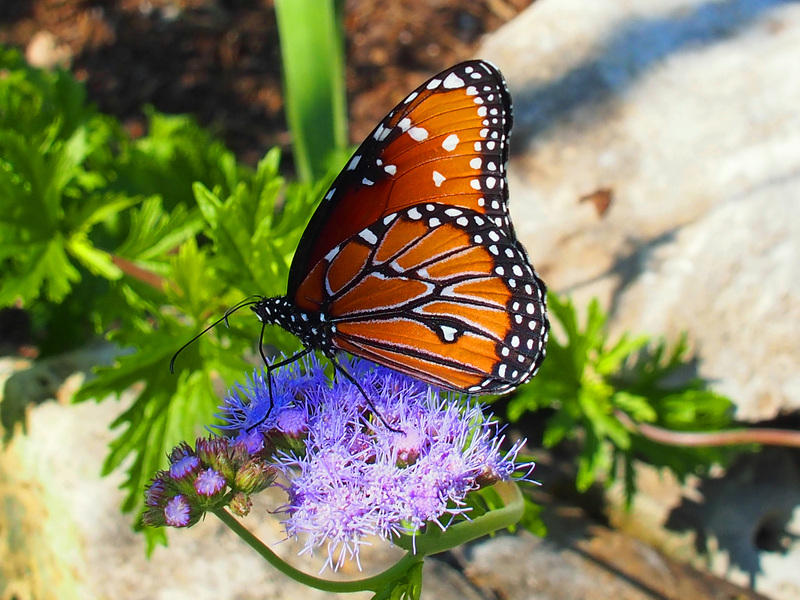 We also have Blue Mist Flower for the butterflies. 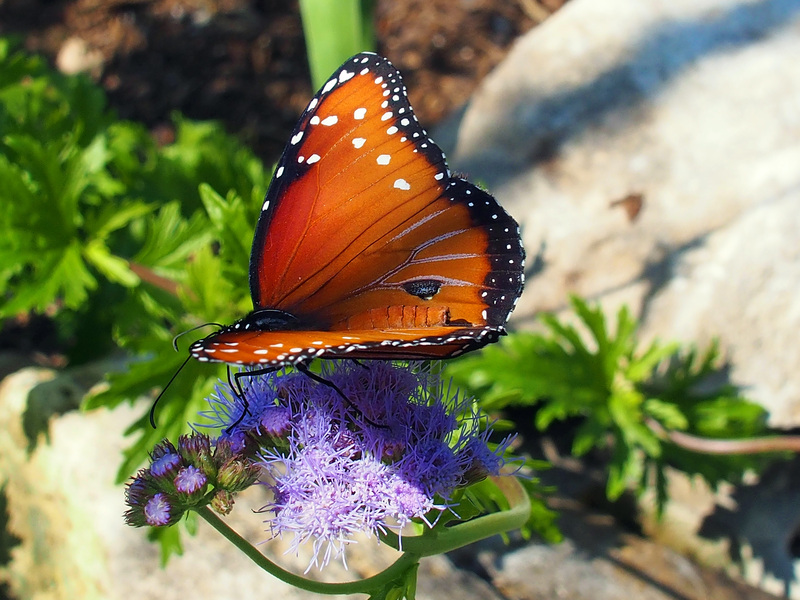 This butterfly seems to be enjoying them. Plus this beetle with the pretty antennae. Beetle on blue mist flower. Look at those pretty antennae.